If any information regarding your name, pronouns, information, or product is inaccurate, please email me at contact@briebeau.com as soon as you are able and comfortable and include the updated information and the link to the page(s) in question. Note: my pronouns are they/he and I use masculine identifiers (Mr., sir, dude, etc.). 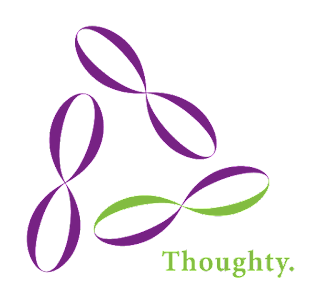 where you heard about Thoughty (optional). If you're tackling a difficult subject, real life experiences, or historical content, please give me an idea what kind of research you're doing. See here on some steps to do before you make a game about stories that aren't yours. *If you're interested in doing a Quick Shot three question interview, provide the basic information requested above and answer the following question. If you want to include images, include no more than 3 images (no lewd images, please). Email all of it to contact@briebeau.com with the subject "Quick Shot [name of product]". I'll respond with further questions as appropriate. Quick Shot Question: What is [your project], both as a product and as your vision? All Thoughty interviews are conducted via email unless I request a different format. I can refuse an interview for any reason. All opinions stated in interviews are the opinions of the interviewees and do not directly reflect my opinions. Minimal editing for typos is done for interviews and adjustments are limited to maintain the voice of the creators. All video and audio editing is done for clarity and comfort, with no intention of altering the creator's statements. It will definitely help if you provide me with the product to review it, otherwise I can't guarantee I'll be able to afford buying it to review. If you're tackling a difficult subject, real life experiences, or historical content, please give me an idea what kind of research you're doing. See here on some steps to do before you make a game about stories that aren't yours. I can refuse a review for any reason. If you're tackling a difficult subject, real life experiences, or historical content, please note the kinds of trigger or content warnings you intend to include on the post and give me an idea what kind of research you're doing, including examples of your resources. See here on some steps to do before you make a game about stories that aren't yours. I can refuse any article for any reason, and pay $.05/word USD. Any articles accepted are edited by me, a minimum of one full editorial pass. If you're interested in supporting Thoughty, you can back it on Patreon at patreon.com/briecs. You can also make one-time donations at PayPal through PayPal.me/thoughty. Your donations and support are appreciated! They help keep Thoughty (and me) up and running!